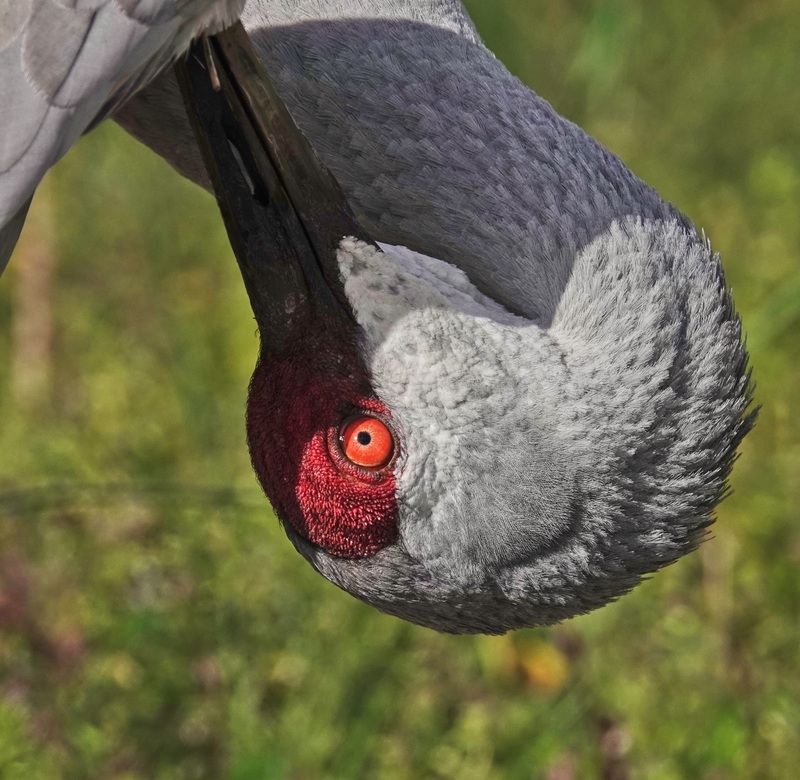 I have mentioned the difference between Western Flyway Sandhill Cranes…the ones we see at New Mexico’s Bosque del Apache National Wildlife Refuge in November at the Festival of the Cranes…and Florida Sandhill Cranes before. You can not approach Western Sandhills at all. They are wary and skittish to the extreme. Florida Sandhills approach you. They are totally unconcerned about human proximity. While visiting Orlando Wetlands Park in Christmas, Florida last Monday, two Sandhills flew around me and landed on the dyke 50 yards ahead. There was a couple on the other side of them approaching, and as we all drew closer, the Cranes walked calmly of to the side into the marsh, but as soon as the couple had passed they came back up onto the dyke a few feet from me. They walked with me, just ahead of me…we are talking 4-6 feet ahead of me…on down the dyke, often one on each side of me. If I stopped to take a photo, they seemed to wait for me. It was all very companionable…and very strange for one who is used to Western Sandhills. This shot was taken at 600mm from about 6 feet. Sony RX10iv. My birds and wildlife modifications to Program mode. 1/1000th @ f4 @ ISO 100. -.3EV Processed in Polarr.